Georgia’s short term ozone pollution has worsened according to the 2018 air quality report by the American Lung Association (ALA). This report came in the midst of several rollbacks on environmental protections by Scott Pruitt, the current administrator of the Environmental Protection Agency (EPA). Ozone develops in the atmosphere from gases that come out of tailpipes, smokestacks, power plants and many other sources. When these gases come in contact with sunlight, they react and form ozone smog. “The ‘State of the Air’ 2018 report adds to the evidence that a changing climate is making it harder to protect human health. With the nation’s second hottest year on record in 2016, high ozone days spiked, putting millions more people at risk and adding challenges to the work cities are doing across the nation to clean up,” Reddick said. Worsened pollution means that individuals have an increased potential to breath in unhealthy air which can cause a number of health problems such as respiratory harm. It can cause early death, both short-term and long-term exposure cardiovascular harm, (e.g., heart attacks, strokes, heart disease, congestive heart failure) harm to the central nervous system and reproductive and developmental harm. “Despite the recent increase in ozone pollution, the ‘State of the Air’ 2018 report shows that the Clean Air Act has worked to clean up much of the dangerous air pollution across the nation for decades. The air is cleaner, but not clean enough to protect people’s health from harm. And climate change will continue to make both ozone pollution and particle pollution harder to clean up,” Reddick said. Warmer temperatures increase ground-level ozone so ozone pollution rises most often during the summer and on cloud-free days. 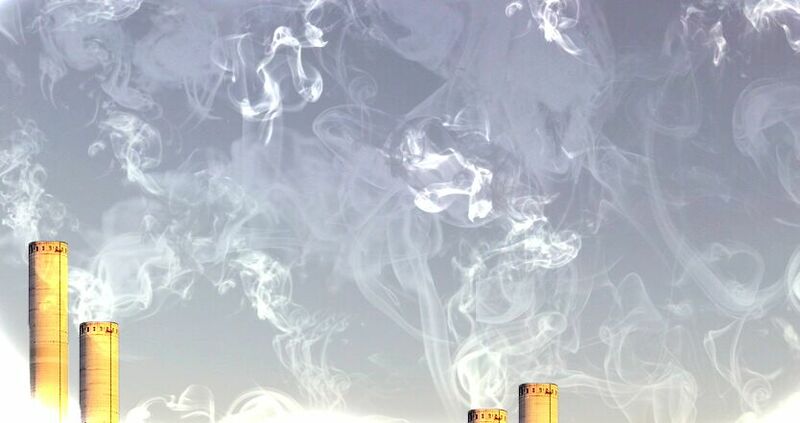 Generating electricity and other sources of energy creates air pollution. Reducing energy use helps to improve air quality, curb greenhouse gas emissions, encourage energy independence and save money, according to the ALA. Some environmental regulations put in place by the Obama administration are facing pushback from the Trump administration as Pruitt has rolled back on several environmental protections. Amid ethic violations investigations, Pruitt has also signed a controversial new rule that requires that the EPA only use data that is publicly available. Reports have shown that climate change will increase the number of bad air days across the U.S. Despite the rollbacks, state governments still have some power to regulate pollution on their own terms. “The federal law mostly preempts (with limited exceptions) state regulation of automobile emissions. In other areas, the Clean Air Act sets a ‘floor’ on environmental regulation; in those settings, states are free to enact laws that seek to attain more (but not less) environmental protection than the federal law,” Nash said. This being said, states have shown their willingness to uphold environmental standards. When Trump left the Paris Climate Accord, cities, states and companies announced their commitment to the accord in spite of Trump’s decision. Congress can sometimes empower the EPA to enact regulations under a statute. However, the statute sometimes gives EPA leeway to make certain policy decisions. “The statutes generally require EPA to consider environmental benefits, although they often also tell EPA to consider (or give EPA the freedom to consider) other factors, such as economic impacts. At the end of the day, EPA can’t act inconsistently with the governing statute,” Nash said. Still, the rollbacks have sparked controversy and concern from environmental groups and activists. Jeffrey Lewis Lazarus, a political science professor at Georgia State, said that it is ultimately up to congress to make sure that the EPA is doing their job right. “There are a couple of thing preventing Congress from stepping in here. First, many of Congress’ remedies for fixing the bureaucracy are slow-moving; second is that Congress has to actually *want* to step in. With Republican majorities in both chambers, and many Republican voters and members of Congress skeptical of climate change science, it’s doubtful they’ll step in in this situation,” Lazarus said. “The Clean Air Act must remain intact and enforced to enable the nation to continue to protect all Americans from the dangers of air pollution,” Reddick said. This law has driven improvements in air quality for nearly 50 years that the ‘State of the Air’ 2018 continue to document. “The American Lung Association will continue to fight the actions of the current administration to reverse and reduce protections in place,” Reddick said.